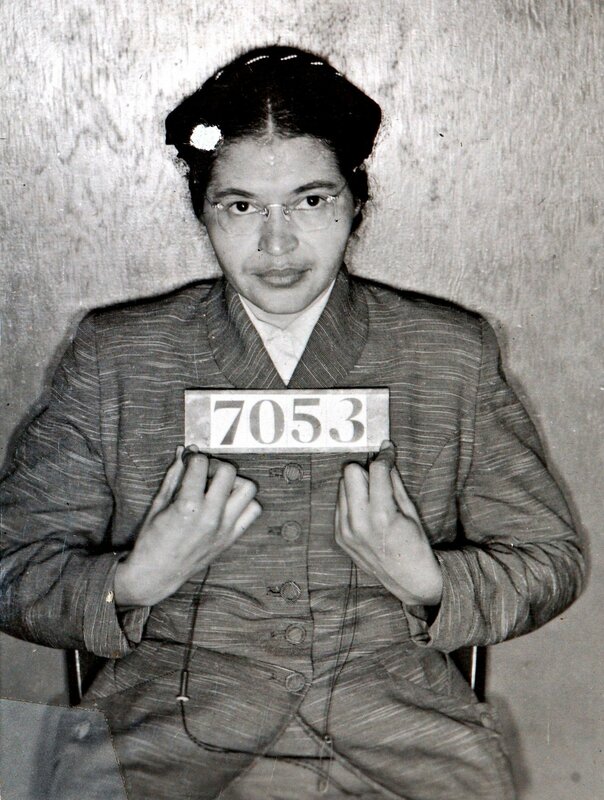 61 years ago today, on Dec. 1, 1955, while riding home from her job as a department-store seamstress Rosa Parks became a part of American history when she refused to give up her seat for a white man on a public bus in Montgomery, Ala.
“Upon arrival the bus driver said he had a colored female sitting in the white section of the bus, and would not move back,” the responding police officers said in their report. The 42-year-old Parks was taken to the Montgomery jail where she was charged with violating the city’s segregation law. 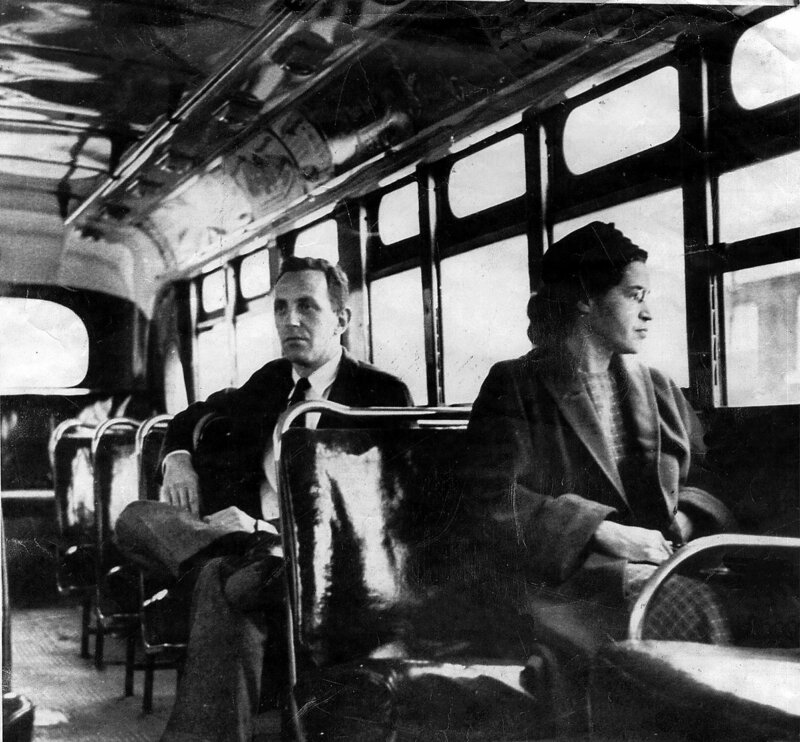 Her act of civil disobedience prompted a 381-day boycott of the Montgomery bus system organized by Martin Luther King Jr. that garnered national attention and ultimately led to the landmark 1956 U.S. Supreme Court ruling that outlawed segregation on public transportation. Affectionately deemed “the mother of the civil rights movement” Parks was often quoted as saying she refused to give up her seat that day because she was “tired.” Undeniably she was tired, though she later explained it was not physical fatigue alone, but also weariness of spirit that led her to stand her ground that fateful December Thursday. Parks remained in Montgomery until 1957, when she and her husband moved out of the state following unbearable harassment and death threats. She died in 2005 at the age of 92 and went on to become the 30th person Congress honored by having her coffin sit in the Capitol Rotunda in recognition of her contribution to advancing civil and human rights. She was the first woman accorded the privilege. “I have learned over the years that when one’s mind is made up, this diminishes fear; knowing what must be done does away with fear,” said Parks in the 2000 book Quiet Strength: the Faith, the Hope, and the Heart of a Woman Who Changed a Nation.